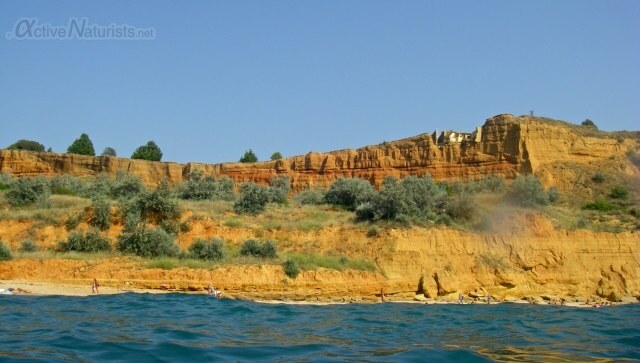 Uchkuyevka (aka Lubimovka) is the only beach within Sevastopol city area with well established nudist area. 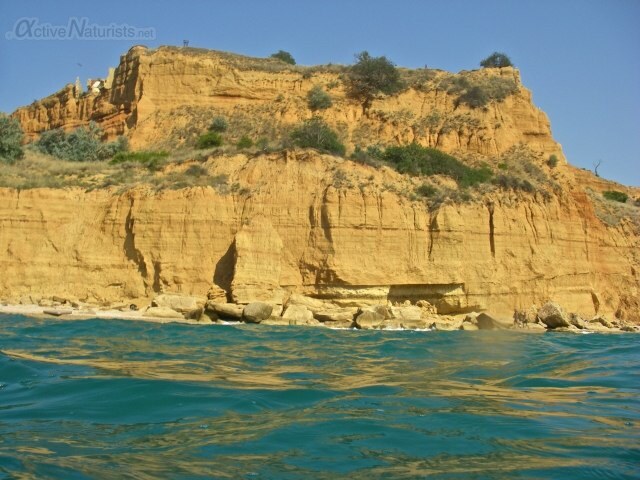 This beach is very long, with nice soft sand and picturesque sandstone cliffs. You can get there from the main part of the city by boat directly (once an hour from Artilereyskaya bay) or by more frequent ferry to Severnaya side first (from Grafskaya pier) and then minibus. you will see most of the people enjoying the sun and the sea without swimsuits. So you can disrobe immediately and pick your spot, there is still a couple of miles of beach ahead! So you can find a quiet spot for yourself, come with your family (like I did, but I will talk about it some time later), or a big group of friends.